Research shows that the undead are able to retain what was most important to them in life. For a gamer, of course, that means Dice! 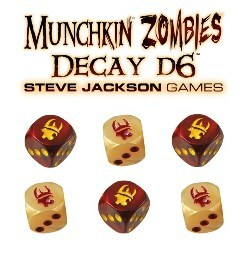 We've also included four new cards for Munchkin Zombies that use these dice in new, devious, death-affirmings ways.